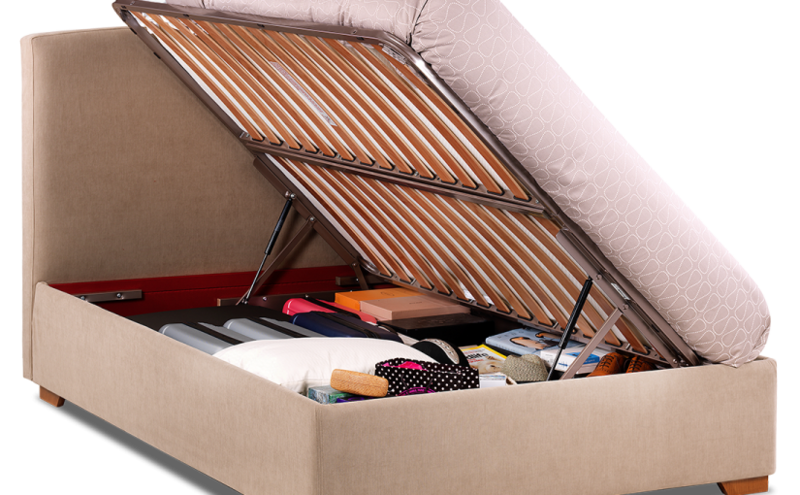 We know there are loads of storage beds online, but they’re not all the same! We also know that we can say that the Furl storage beds really are the best. And we want to prove it to you. So here are the reasons why our beds are so unique. We offer you 5 storage depths, 7 sizes and 100s of colours, including the option for wood, designed and made by us at our Nottingham workshops. If you would like to add a headboard, you can. 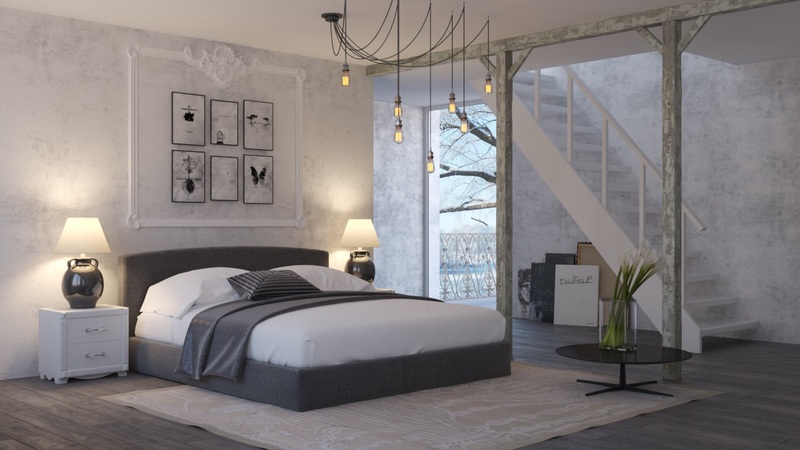 Which headboard would you like to add? That’s up to you. If you would like to add a mattress, you can. Which mattress – well I think you know what our answer is going to be. 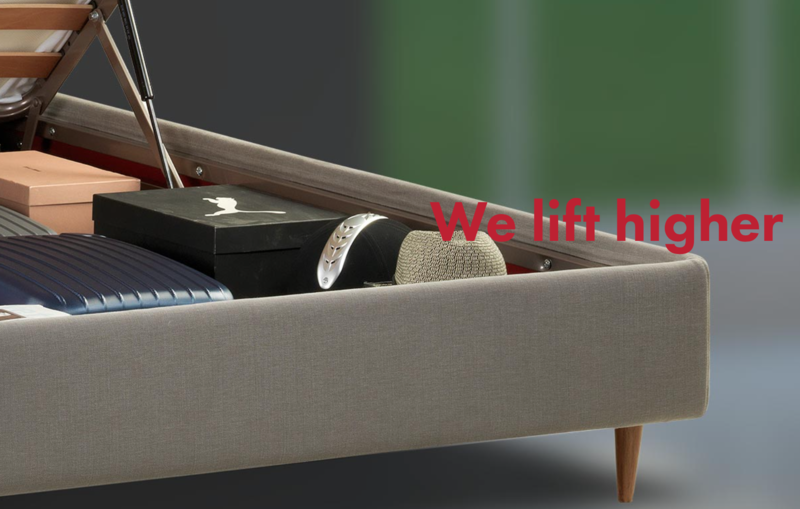 Our easy-to-use lifting mechanism raises the mattress higher than any other storage bed – This is really important because it allows you to access the items stored within the bed (even at the back) easily from the front and sides. We deliver all of our beds in absolute pieces, and expertly build them in the room for you. That is if you select our Home Installation option. We automatically select this for you, it’s then up to you to change it to the DIY build option if you prefer. Our general rule is, if you can fit into the room without twisting and turning, so can your bed. 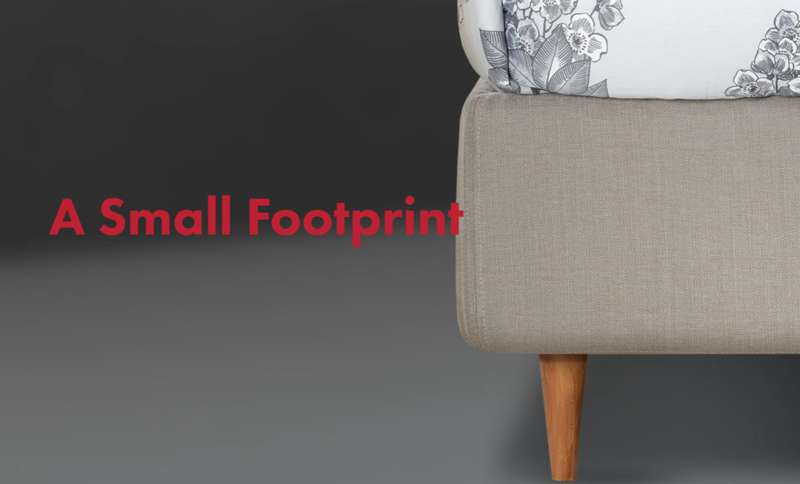 We’re all about giving you space, not taking it away, which is why our bed frames are just 2cm larger than the mattress. If you opt for wood, they are are 3cm larger than the mattress. This is because we use real, solid wood. Orthopedic sprung beech slats work with your mattress to support the sleeping surface. Each side is sprung independently for greater comfort and a better night’s sleep. By dividing the slats into two, there is also no chance of one long slat snapping. Yes we really do. Our beds are always designed to maximse the storage potential in your bedroom. 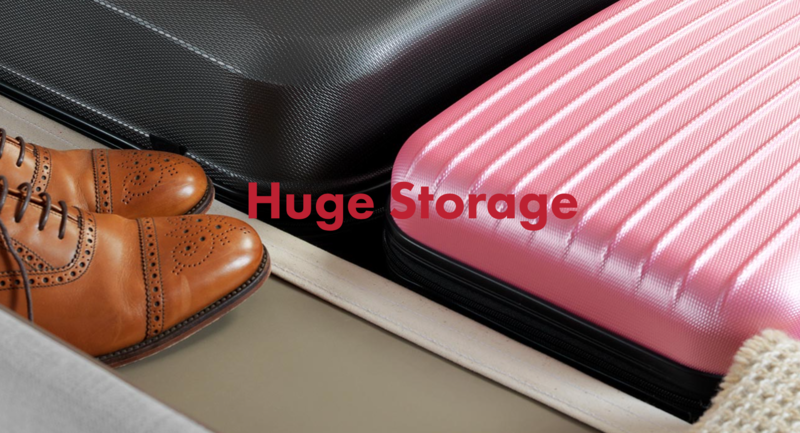 Even our slimmest (and best value) model has a huge 600cubic litres of storage. Our model Max and illusion have the most storage you can get in a bed. There is no other bed on the market with the same amount of storage. 7. Do we need to give you any more reasons why furl storage beds are the best? So Furl storage beds really are the best. And if you think all this makes our storage beds expensive…. they’re not. The brilliant thing about designing and making your bed with us is that you can decide exactly how expensive you would like it to be. Headboards, side tables, blanket boxes, in-built safes can all be added later too. So if you want to save for ‘the perfect bed’, it doesn’t mean waiting until you have the full amount. You can save in stages. I mean does this even look like a storage bed? Come an see one of our Furl storage beds experts at our showroom (one of whom is our founder). We won’t need to show or tell you much, the beds really do speak for themselves.